The government of India is planning to impose a 'green cess' on petrol-powered 2-wheelers to incentivise e-bikes. The additional tax could range from Rs. 800-1,000. 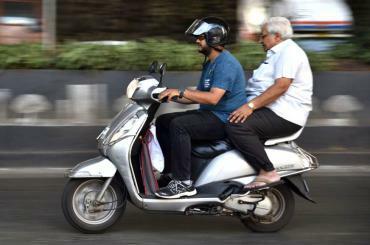 According to a media report, the government intends to reduce the price gap between electric 2-wheelers and petrol bikes, while at the same time promote the use of e-bikes. It aims to bring 1 million electric 2-wheelers on roads in the next 2-3 years. The introduction of a green cess could prompt bike makers to hike prices of their products. While the increase in prices is likely to affect growth, the sale of electric 2-wheelers could compensate for it. In 2018, 21.6 million 2-wheelers were sold in India. The 2-wheeler segment registered a growth of 12.8%.